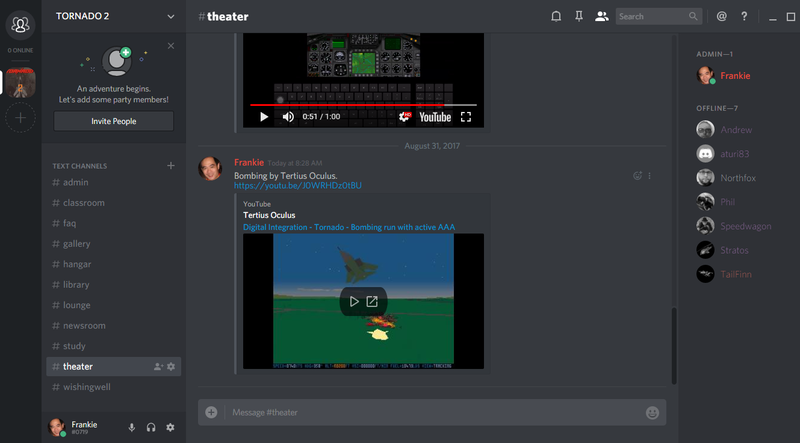 We have setup a Discord server just for Tornado 2 discussions, networking and sharing with seven other Tornado gamers. The purpose of the server is to pool the resources of Tornado-fans. We would like to work with like-minded fans everywhere and members of the ex-Digital Integration development team, to enhance the game, in time for its 25th anniversary in 2018. To join is free, but you will have to email me first at boonsengkam at gmail dot com. I will then send you the join link.